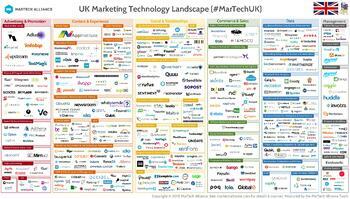 As part of the research into the UK Marketing Technology Landscape Supergraphic #UKMarTech, we reached out to some of the UK's key marketing technology vendors. We chatted on what makes them tick, what makes their companies successful, and gained valuable insights to the current & future state of martech. Q. In one Tweet (now 286 characters) describe Turtl for anyone not familiar? A. Turtl provides an end-to-end software platform for creating, measuring and publishing the right content at the right time for the right people. Say goodbye to boring, static content, low-resolution insights and misdirected effort and start delivering a modern content marketing strategy. Q. Can you tell us a little bit more about you and how the business came about? A. My background is in software engineering and product direction / management for customers including LexisNexis and The University of Oxford. I’ve also been involved in a number of early stage businesses and startups. The idea for Turtl came from a series of academic studies on how the brain is wired to consume written information and the how aspects like layout, imagery and interaction can have a huge impact on engagement and persistence with the reading activity. With the growth in interest in content marketing, it seemed obvious that someone should try to apply this academic knowledge to digital content in order to achieve a competitive edge, but no one seemed to be doing it. The lack of genuinely meaningful content metrics compounded the issue. We found many content creators unable to describe the performance of their content beyond simplistic metrics such as download counts and open rates. It again felt like there was an opportunity to move the needle by providing more meaningful metrics for content authors to help them improve their practice. As a result, we knew there was a gap in the market for a platform which would allow anyone to create professional quality content with no design skills, publish in a format optimised for reading, and receive meaningful performance metrics which would tell them what was really engaging their readers. We believed the result would be better informed and more effective content marketing. Q. What books, publications or individuals do you take inspiration from? A. The work of psychologist Robert Cialdini has had a big influence on me and, I suppose by extension, Turtl. His research into how humans can be influenced in powerful and often unexpected ways is genuinely eye-opening. We’re much more predictable and malleable than we’d like to believe, provided you know how to push our buttons.I’m also a huge fan of Richard Feynman, the Nobel prize winning physicist. His ability to see past the obvious combined with his infinite curiosity is truly inspiring.Finally, Marshall McLuhan is a fascinating read. Another one who can think past the obvious and open your eyes to another way of seeing the world. Q. What do you think has been the driving force behind your growth to date? A. A clear and ruthless perspective on what we think is wrong with content marketing and absolute certainty on the dent we want to make in the universe. Or, put another way: focus. …and a good product with great people behind it, of course! Q. What have been some the toughest moments with the business? A. The early days were very hard when we were trying to convince the first few people that our idea and product had some merit. New ideas and products needs friends and they can be hard to find, especially when - like us - you take little or no funding in the beginning and have to impress purely on an early prototype and some enthusiasm. But that’s also a good thing because if you come through that you know you have something of value. Beyond that, the hardest bit is people. Good people make or break a company and it’s often hard or impossible to tell how someone will work out before you hire them. Getting the first few “keystone” people in place is very hard and a single bad hire can sometimes set you back significantly. Q. What do you think is in the DNA of a British MarTech Company that differs from the likes of the United States? A. I think perhaps a better hype to substance ratio? I’ve seen a good few products from the states where, based on their marketing, they look fantastic. But when you get to take a look at the insides, it’s less impressive. Perhaps there’s less of that with UK MarTech, I’m not sure. Q. What martech platforms or services (beyond your own of course 😀) do you use for your own marketing that you would recommend? A. Intercom is a must for understanding and marketing to existing customers and users. Hubspot for most other things. Q. Finally if we fast forward 5 years where will Turtl be, and how do you think the marketing space will have evolved? 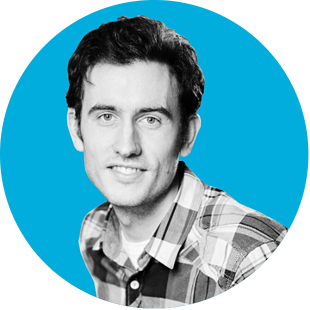 A. Turtl will be part of a group of MarTech offerings leading a revolution in content marketing. PDF (for marketing purposes) will be in the process of being replaced by interactive, visual, “fun” content which gets the message across in a much more powerful and engaging way, all the while providing the authors with important insights on their audience which can be used to improve the next piece. Turtl (I hope!) will lead the charge.